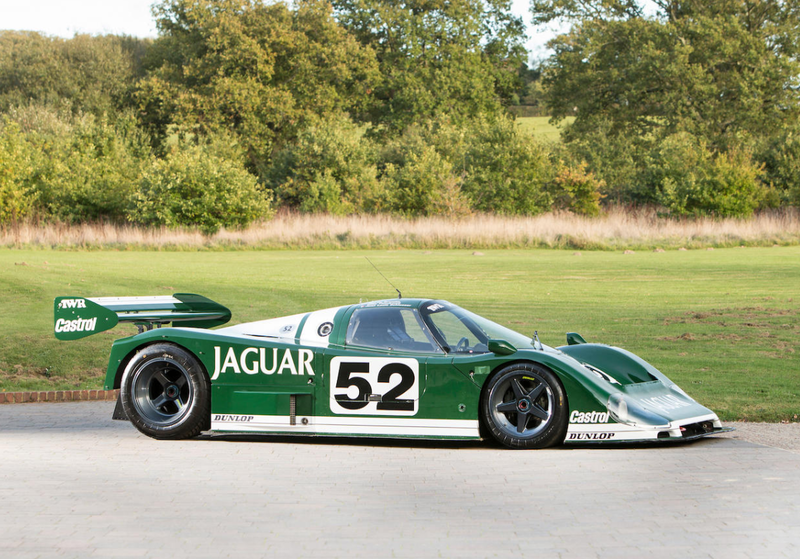 When Jaguar decided to go sports car prototype racing in the 1980s, the first car (numerically-speaking) they built was the XJR-5 which was intended for the IMSA GTP series. Meanwhile, in Europe, the World Sportscar Championship was eagerly awaiting some fast cats, and Jaguar obliged, with this, the XJR-6. In all, six examples of the XJR-6 were built, and this one saw some action in pre-season 1986 testing, but it never raced after 1985. It’s a pretty awesome race car (with gullwing doors! ), and I’m sure it has an amazing sound to accompany its looks. It should bring between $2,800,000-$3,600,000. Click here for more info and here for more from this sale. This entry was posted in Uncategorized and tagged 1985, auctions, Bonhams, cars, classic cars, jaguar, race cars, xjr-6, xjr6 by classiccarweekly. Bookmark the permalink.